Like you I found following a gluten-free diet overwhelming in the beginning. I created this site to provide easy to follow, up to date information on living gluten-free. 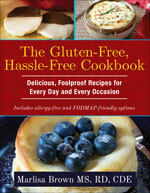 Delicious safe gluten-free recipes/products, dining out and travel tips are just around the corner.